The metaphor of the United States as a cultural melting pot is probably best applied to our food. Immigrants from all over the world come here bringing their distinct foodways with them; they adapt their recipes to local tastes and the ingredients available, and eventually the cuisine becomes inextricably part of the American fabric. No better example of this is Italian food and Italian-American food; at the turn of the last century a wave of Southern Italian immigrants came to this country looking for a brighter future, maybe not even realizing that many of those futures would depend on the pasta, tomato sauce, pizza, and pastry recipes they brought along with them. 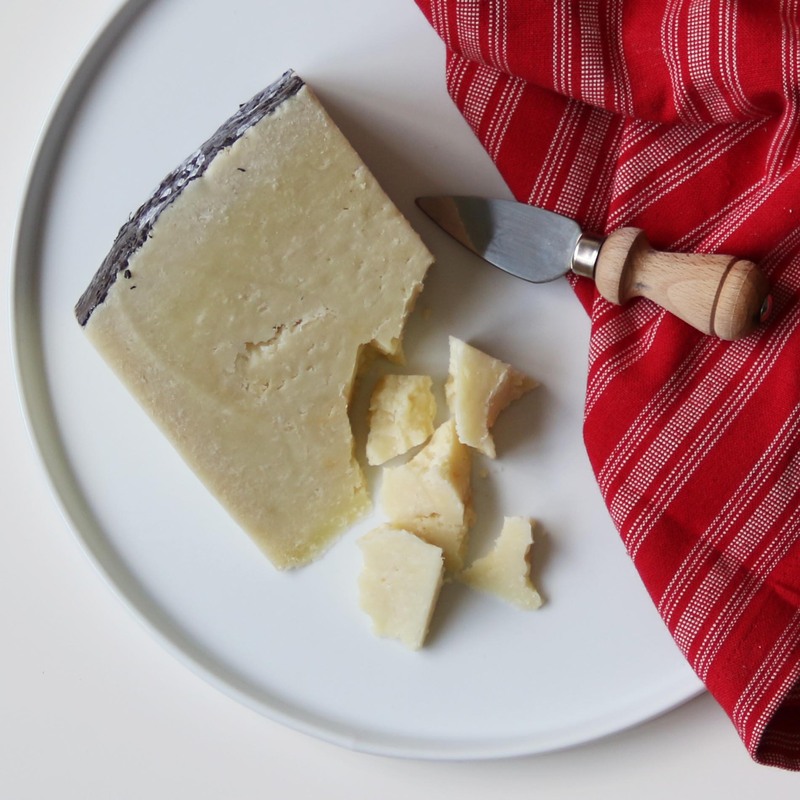 Once here, Italian immigrants realized that while they were able to find many ingredients they needed, there was no substitute for real Italian cheese: like Parmigiano Reggiano, the nutty, crumbly ‘King of cheese’ from Emilia-Romagna needed for Chicken and Veal Parmigiano, or Pecorino Romano, its bold and salty cousin from Lazio, needed to grate over pasta. The role of cheese in Italian food cannot be overstated; the Roman Legion marched on rations of Pecorino Romano, still made in the village of Nepi by Fulvi using the same recipe from nearly 2000 years ago. For many Italian immigrants to the United States meat was a luxury, and cheese eaten with some crusty ciabatta or grated over pasta provided both the flavors of home, and an important source of nutrition. Over time, other Americans discovered just how delicious this new ‘ethnic’ food was, and were therefor introduced to the world of Italian cheese. In Italian-American cuisine, cheese is not only eaten as antipasti with olives and cured meats, but is also a key ingredient in so many of our most beloved dishes, mac and cheese being the most American of all. 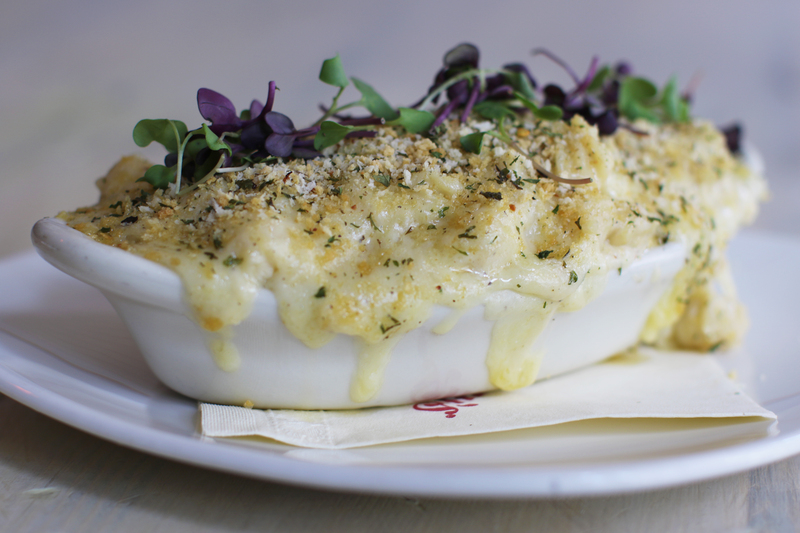 But make no mistake, that ‘mac’ stands for maccheroni! And while cheddar cheeses are the most commonly used today, melting cheese like Fontina and young Asiago Pressato are probably what this dish was originally made with. Either way, don’t forget the grated Parmigiano Reggiano on top to get that perfect crust. Italian-American dishes have become what we think of as comfort food; dishes that are simple and delicious, and are always crowd pleasers. 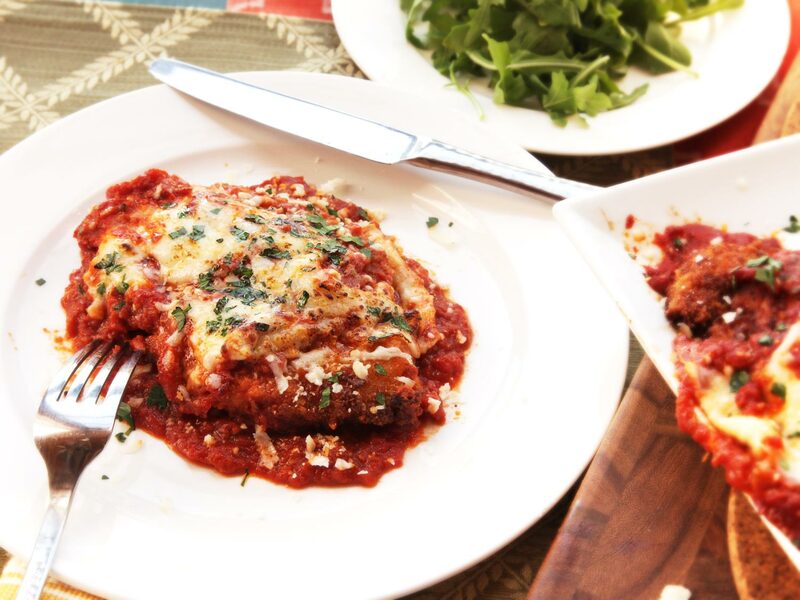 Chicken Parmigiano might be the ultimate expression of how Italian immigrants adapted their traditional recipes to the American palate. Eggplant Parmigiana, or Mellenzana alla Parmigiana is what you will find in Italy, but Italian immigrants saw that other Americans preferred meat for their main meal and as Italian-Americans became able to afford meat regularly, the change to chicken was made here in the New World. Now chicken (or sometimes veal) is breaded, fried, covered in tangy tomato sauce, and smothered in a gooey layer of mozzarella. But the real flavor comes from the Parmigiano Reggiano liberally grated over top and often mixed in with the breading of the chicken. This dish can now be found on almost every Italian-American restaurant menu. Italian-American food continues to evolve as well. 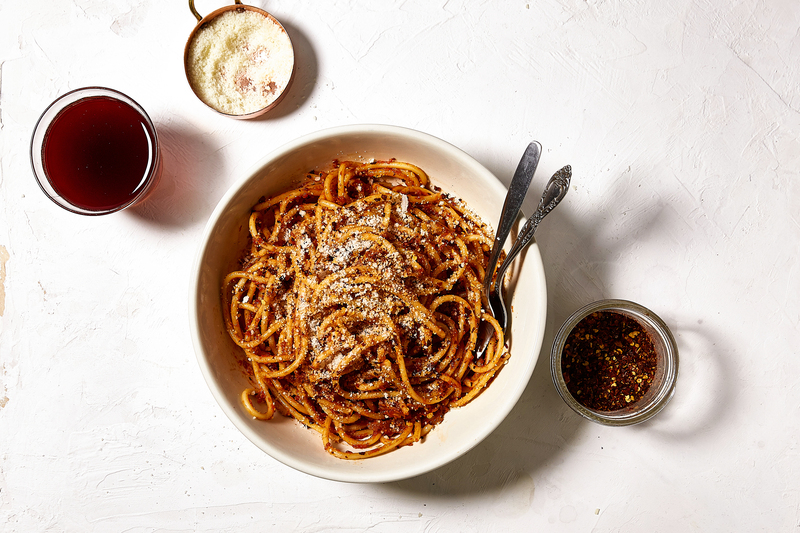 A more recent addition to the landscape of Italian-American cuisine are variations on Cacio e Pepe, the classic Roman pasta made with Pecorino Romano and black pepper. Innovative chefs are using this flavor combination in new and delicious ways from roasted vegetables to garlic knots. 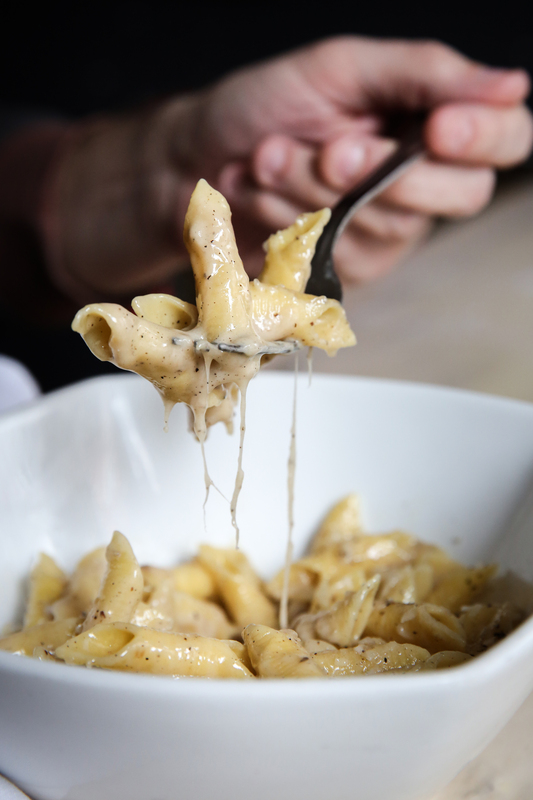 Click the photo to make this classic Cacio e Pepe for yourself! Italian cheeses also enhance salads, making them a meal in and of themselves. With Autumn and an abundance of apples, plums, and pears fast approaching, there is no better cheese to have on hand than Gorgonzola Cremificato. This softer, richer counterpart to Mountain Gorgonzola is at its best when joined with zesty arugula, toasted nuts, and ripe juicy pears. And of course it’s a key ingredient in a classic four cheese pizza. 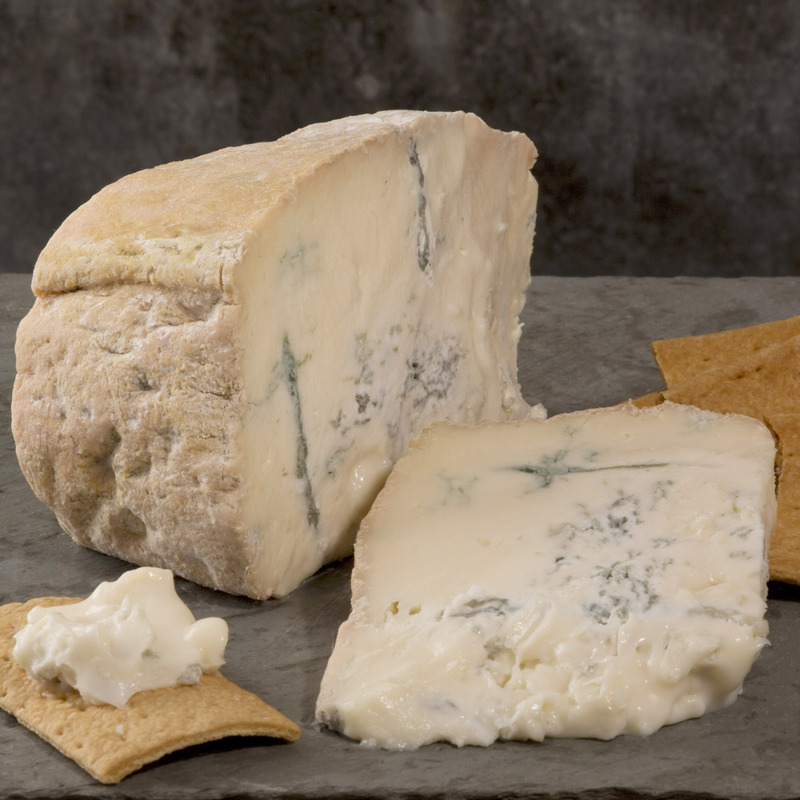 Gorgonzola Cremificato (also called Gorgonzola Dolce) is a wonderful cheese to offer your friends who don’t yet love blue cheese, because its creamy texture prevents too much blue mold growth and results in a more pronounced sweetness. With a drizzle of Italian Acacia Honey and some Vin Santo you’ve got the perfect end to an Italian-American meal. And if you think we could explore the world of Italian-American food without mentioning pizza at least three times, Gorgonzola Cremificato is also a key ingredient in Pizza Quartto Formaggi, that’s four cheese pizza (aka our kind of pizza).